Texas and Oklahoma winters are an unpredictable mixed bag of weather. One week you could be out playing frisbee in your shorts, and the next week you’ll be scraping an inch of ice off your vehicle, or tromping through a foot of snow. Our location on the great plains opens us up to continental highs that can bring the cold weather from Canada sweeping down to met Gulf moisture, and this combination can make for some pretty intense winter conditions. Granted, they’ll be gone before too long, but when they effect our area, truckers and other diesel vehicles can’t just stand still, they have to keep on truckin.’ If this is you, it is important to stay safe while you do so. Whether you are making or diesel fuel delivery, or expecting one so you can get your construction vehicles running on time, you need everyone along the chain to be safe. 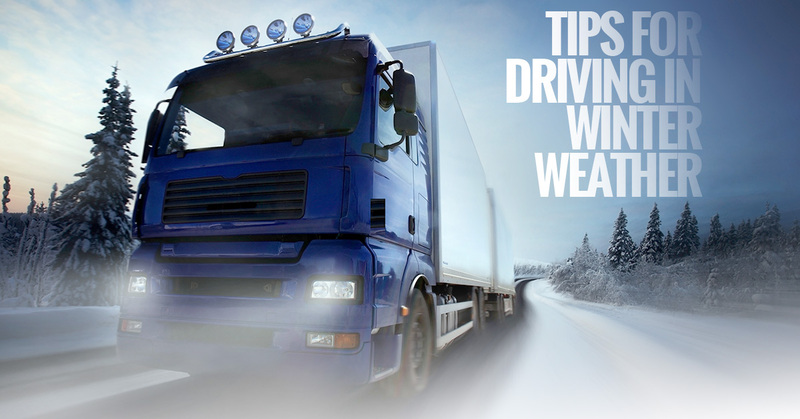 In the spirit of helping everyone stay safe out on the road, we will cover winter driving safety tips. We know profesional drivers know how to drive, but it never hurts to review! It can be all too easy to set your brain on autopilot and to be driving with less than all your attention on the road. When you are always paying 100 percent attention to the road, you will be paying attention down the road as well as right in front of you. Practice planning for things to go wrong. This might sound like asking for trouble, but if you are in the habit of thinking about where you would go if there was a crash in front of you, you will find that your safety habits improve. For instance making sure you know, at all times, where all the cars around you are, gives you lane changing safety options if something goes wrong. You know, from all your hours on the road, that the strangest things happen and that many drivers are not thinking of the safety of others. Everything from texting while driving to not properly securing items in the back of pick ups can cause the unexpected to happen. For instance, if you are driving behind a truck with a ladder in the back, don’t expect that the driver has it tied down properly. 99 times out of 100, that ladder may stay put on an incline, but that one time, when it comes loose and flips and flops before snaking across lanes in front of you, that one time is when you may not be expecting it. Always leave extra space between you and the other drivers so you have the seconds that can make all the difference between a funny story and a tragedy. So far, we’ve covered tips that can be heeded all year long, and now we’ll turn to season specific tips for winter. Extreme winter weather may hit this area of the country only once or twice in a season, and we know that many of you drive your rigs all over the country so we’ll spend some time on winter weather tips. Knowing what you are driving into can save you a lot of trouble and time. If you can time your departure or your down time so that you miss a front rolling through with a line of storms, all the time on your weather apps will be worth it. Ask around and find the best apps for your needs. You can start with the weather channel and an HD Radar site. You can sign up for alerts too, and those could save you a lot of trouble. Knowing the weather conditions enables you to make informed decisions. Experience has, or will, teach you what to expect in different states with regards to how fast the salt, brine or plow the roads. You’ll be able to stop for the night when you know that a strong system is moving through. You’ll benefit in the long run because you stopped instead of getting stuck. Another helpful tip is to not let your tank get below half full, especially if you know you’ll be heading into a weather system. Slow down. You know how long it takes your rig to slow down in dry conditions, but when ice or rain and unfamiliar roads come into play, the variables are hard to calculate on-the-go. If you are on an incline and the roads are slippery, from either ice or rain, doing the physics calculations in your head is not going to happen. Slow down and give yourself more than enough room to stop. Review your rules for how to handle your rig, and the load you are carrying if you lose traction. The main rule is to never use your clutch or engine break when sliding. Use your skills, and don’t take extra risks. No cargo is worth it. 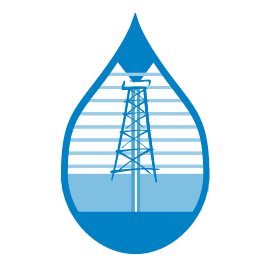 When you need a diesel fuel delivery, be sure to call Reeder Distributors, and stay safe out there!